What is a firmware update on a cell phone is a question of many that we get frequently here at Android Officer. So, this article is belong to them. Here you will get a clear idea about what is firmware on a cell phone and why its need to be updated. Firmware term is more popular from the launched of Android mobile operating system. Basically firmware is applications and operating systems which controls or define how a Smartphone or Cellphone runs or operates. As Windows operating system (such as Windows 7, Windows 10) runs on Desktop computers or Laptop, the same way firmware runs on mobile phones or cell phones. Every cellphones is preloaded with a firmware to operates and for many cases the firmware is upgradable. Firmware updates are generally provided by the company for bug fixes, performance enhancement or sometimes add new features. So, how to check which firmware is installed on your cellphone? There are many popular firmware such as iOS, Android. Android firmware is more popular these days. So if you are using an Android powered Smartphone, then you can easily check which firmware version is installed and also you can update it if available. 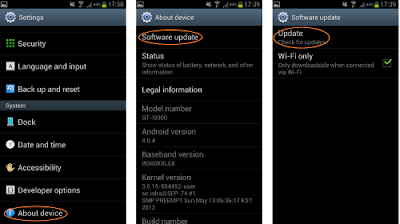 To check firmware version on your Android phone, go to Settings >> About. 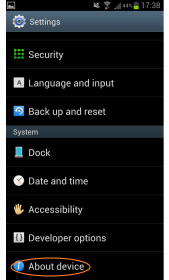 About section will show many details regarding your cellphone along with Android version and firmware build number. Android version is like- Android 4.3 Jelly Bean, Android 4.4.4 KitKat, Android 5.0.2 Lollipop or Android 6.0.1 Marshmallow depending on your Smartphone. And the build number is like a serial number in which the phone is last updated. You can also check, is there any new firmware update is available for your smartphone or not directly from your cellphone. 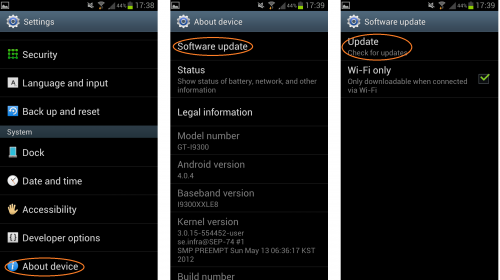 To check firmware update, go to Settings >> About >> Software Update and then tap on Update. Wait few moments and you will see is there any update available or not. 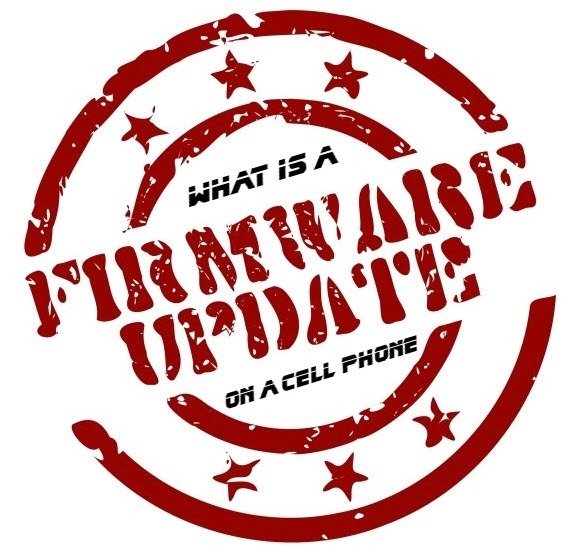 There are many ways to update firmware on your cellphone. The recommended process is through OTA (Over the Air), directly from your Smartphone. Firmware update is depend on your mobile company. If your cellphone company put update on OTA then you can update directly from your phone. To update firmware through OTA, go to Setting - About - Software Update and tap on Update and follow rest of the on screen instructions. Other than OTA, there are tools like Samsung Kies, Odin and many more to update firmware. You brows Android firmware update articles to know more about the update details. You'll find complete step by step details to update your cellphone. So, hope you are quite a bit confident now about what is a firmware update on a cell phone. You can also brows many other tips and tutorials article related to android apps firmware, data backup and many more. Feel free to post comment for anything else you want to know regarding your android cellphone.